2013 was a huge year for poker throughout the world. 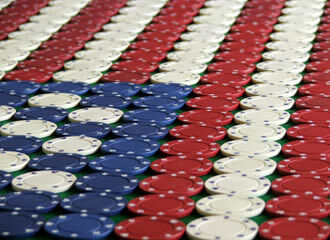 In the United States we saw regulation take hold in three states which now offer regulated online poker. We also saw some sites rise from the ashes to now be leaders in the industry. 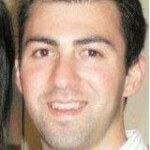 Lets get to the Top five stories of online poker in 2013. The once dominant brand that was left for dead by the old owners has seen a resurrection from the dead after PokerStars completed the takeover through a settlement with the US DOJ. Full Tilt Poker is currently the 4th largest site in the world with a 24hour cash player peak of 3,746 according to PokerScout.com. Albeit they are only available in New Jersey the iconic brand currently holds over a 50% market share of the newly regulated market. Party Poker was last seen in the USA in 2006 after the UIGEA was signed and enacted into law at which point they left the US market. The Revolution Gaming Network was formed when Lock Poker left Merge Gaming Network and joined the Cake Poker Network. At that point they renamed the Cake Poker Network to Revolution Gaming Network and it was billed as being one of the best US facing networks in the world. The network was heavily pumped by big named affiliates such as PokerListings. After word started to spread of cash shortfalls the network began to teeter and ever since we have seen a steady decrease in players. The decline accelerated when Lock Poker left the network through a very public and messy divorce which saw the network stealing old Lock Poker players through Pure Poker. The network currently has outstanding cash outs of over 1 year. The most dominant and most well known online poker site in the entire world has essentially be shut out of the US market by having their New Jersey online gaming license application suspended for up to two years. The biggest news of the year was seeing licensed and regulated online poker in New Jersey, Nevada & Delaware. Nevada – The first regulated site to actually launch was Ultimate Poker. We then saw WSOP launch and the the two sites are the only two currently offering online poker in the state. Delaware – Which is the second smallest state in the USA was the second state to go live with regulated online poker in 2013. The state signed a technology agreement with 888 Poker to be the backend provider. The state currently only offers online poker through DelawarePark.com, DoverDowns.com & HarringtonGamingOnline.com. New Jersey – The last state to go live in 2013 with regulated online poker was also the biggest of the three. The state went live just a few weeks ago but currently has seen a steady increase in players with over 109,000 accounts being opened to date. The biggest sites in New Jersey are Party Poker & Borgata Poker which currently hold a market share of over 50%. WSOP is the second biggest site in New Jersey with a 24hour peak of 347 cash players.